As a store owner or manager or owner, you might find it hard to keep track of your inventory. There could be thousands of products among your inventory and you might not have the software or the computer systems that major corporations have at their disposal. 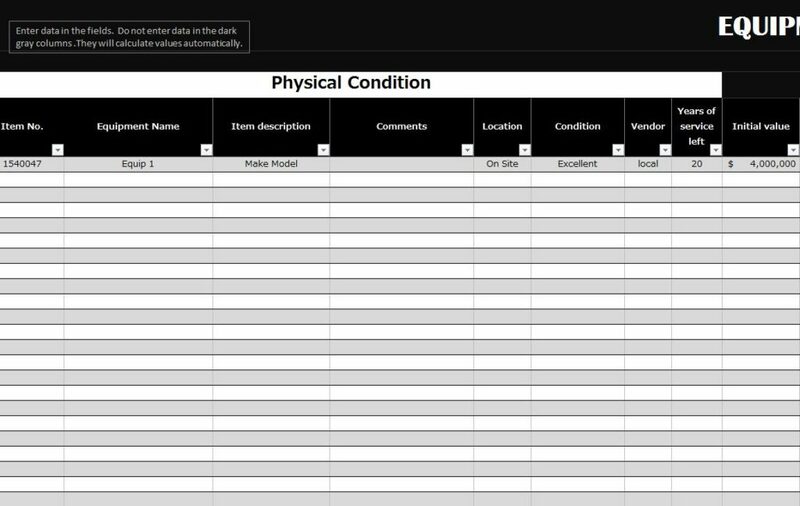 The Equipment Inventory Template is a tool that can help you keep track of the various items in your store and make sure that each one is tracked according to your new or pre-existing system. The template is free and fully customizable so if you’re already using a SKU number or something else, this template can quickly be changed to fit that system. Learn more by reading the details below. The template is on one page that extends downwards as you add more items to your inventory list, but feel free to copy the tabs for separate categories of items or simply use this one page and the filters that are built in (more on that later). You can see from a short glance of the Inventory Template that you will add each new item to a new row and each column has a different piece of information that you will enter for it. You can continue through the columns by listing any comments you have about the tool, the location within your store you have them, their condition, vendor (if applicable), your years of service/warranty, a down payment (for larger items), and the purchase date when you bought them in bulk. If you want to list additional loan information from your supplier you can do that as well and the template will automatically calculate monthly loans, total costs, and things of this nature if you have to pay off big-ticket items over long periods of time. The Inventory Template will track all these figures and give you totals for them, highlighted in black, at the bottom of the page. If you have a long-running list and want to find your item, simply use the navigational arrows in the category headers at the top of each page to filter out all other items for as long as you need. Organize you store the right way by downloading the free Equipment Inventory Template.